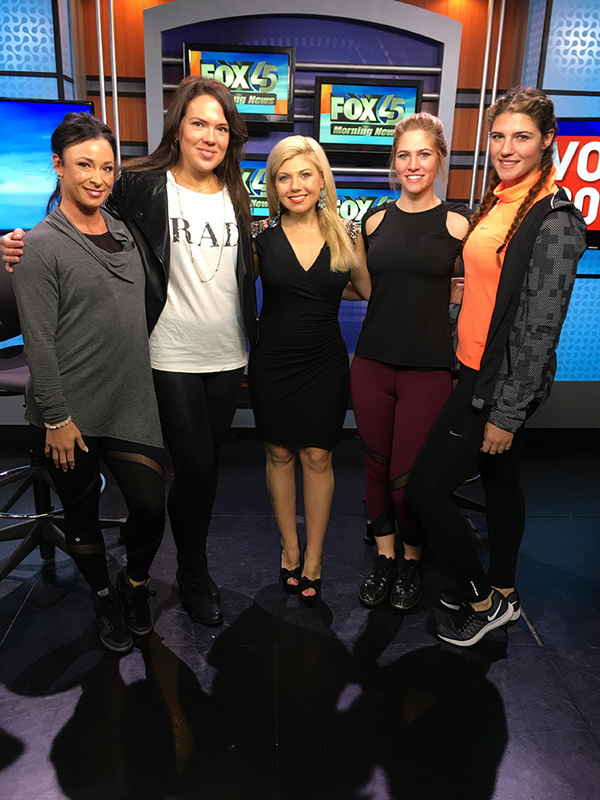 This past Monday, October 10 I had a great opportunity to do a LIVE segment on FOX Baltimore about “Sports Fashion Trend – Athleisure” with Entertainment Reporter Candace Dold‎. I was so stoked – this was my first time on television! The models looked amazing in the clothing showcasing great activewear brands such as NUXactive and MICHI. 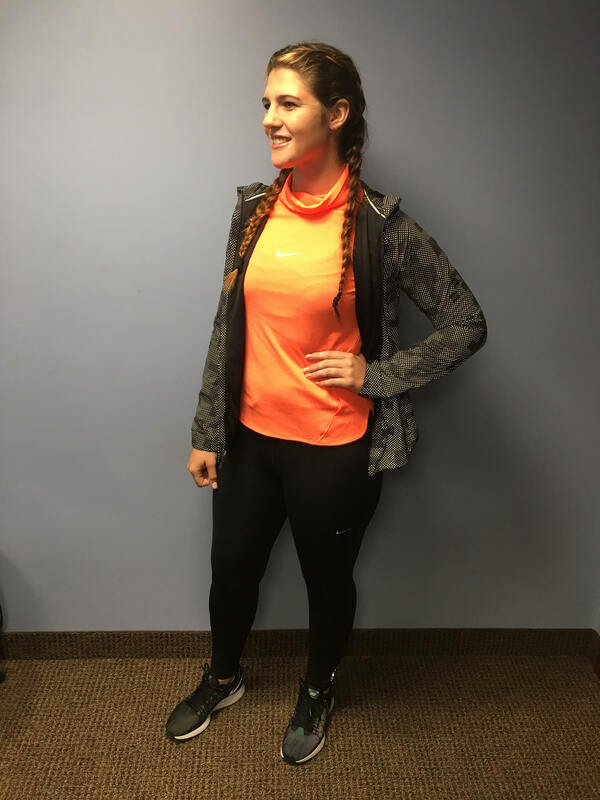 Check out the latest workout looks below and how YOU can transition your workout looks to meeting your friends for lunch, nights out, and running those Sunday afternoon errands. 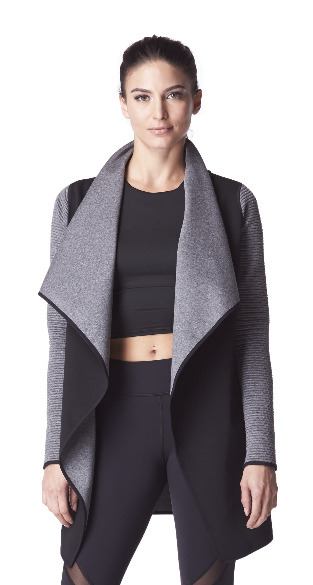 Athleisure refers to casual clothing — like yoga pants, sweat pants, and hoodies — that are designed to be worn both for exercising and for doing (almost) everything else. 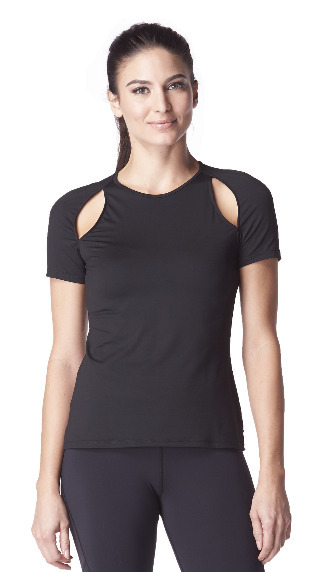 Sports fashion trend isn’t fading away anytime soon – whether it’s finding motivation to hit the gym or seamlessly transitioning from the office to yoga class, this athletic-inspired trend is redefining the way we dress. A few key accessories can transition from day to night! 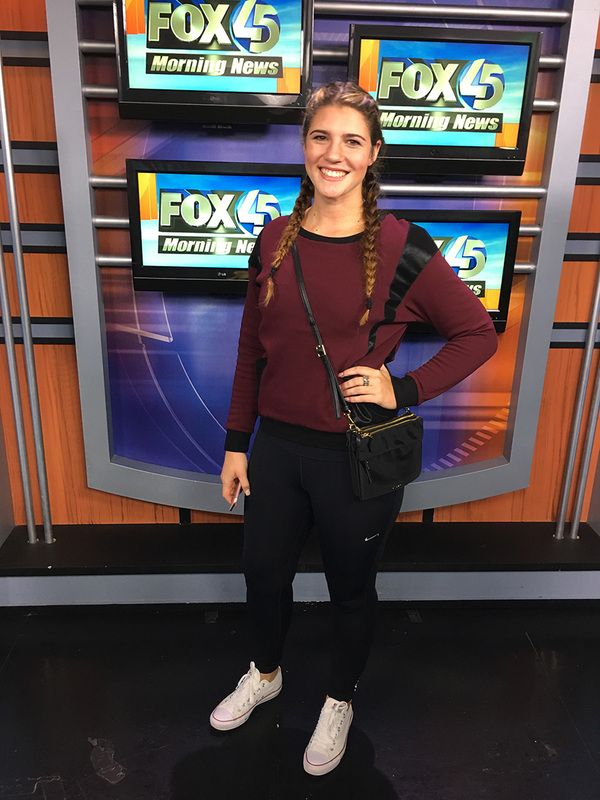 Amber kept on the same running tights and with just a few key accessories; a cross body purse, ring, and change out of her running jacket into a cozy sweater. 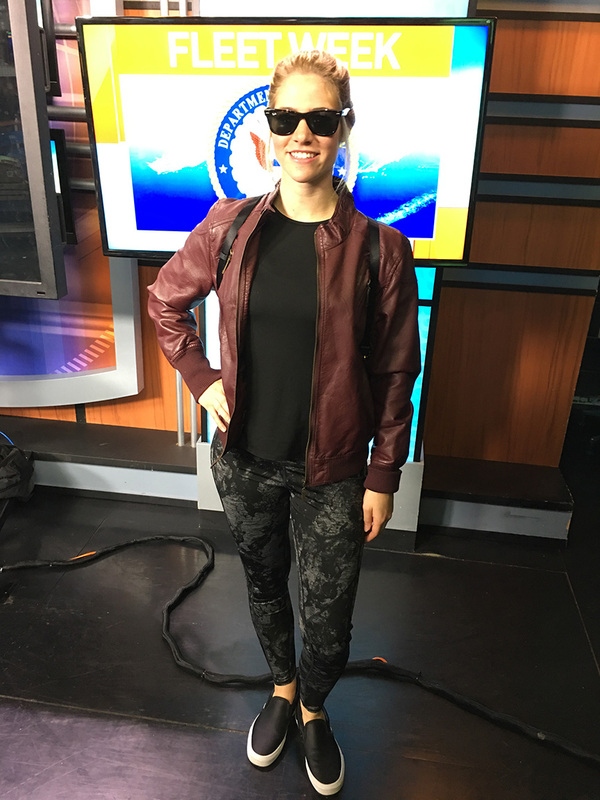 Ali, is ready to meet her friends for lunch, even some power meetings – she looking so rad – kept on the same Michi cut-out top, and pair it with NUXactive graphite leggings, a cool moto faux leather jacket, and clean slip-on sneakers. And with great accessories; a versatile bag by TUMI and sunglasses! It’s about the attitude and lifestyle of the apparel representing. 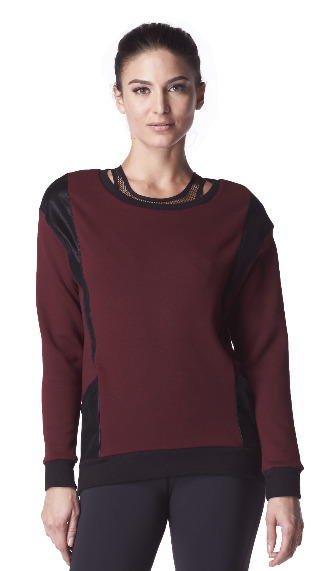 Clothes that both look good and feel are the best combo! 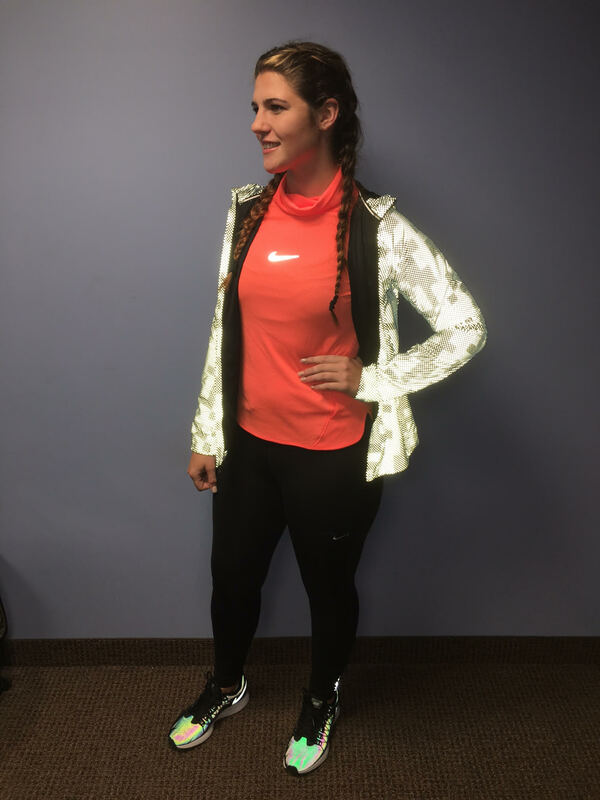 Here is our model, Bonnie doing just that – a great look you can style up for the night out in the athleisure trend! Bonnie, kept on the same leggings from the first look and swapped her top, changed her sneakers to booties and added jewelry. Jewelry: Gold lariat necklace by Cesar Jewelers, Inc.
Video of the segment coming soon – will post here and on YouTube! I would love to give a big shout out to the brands that help make this happen! 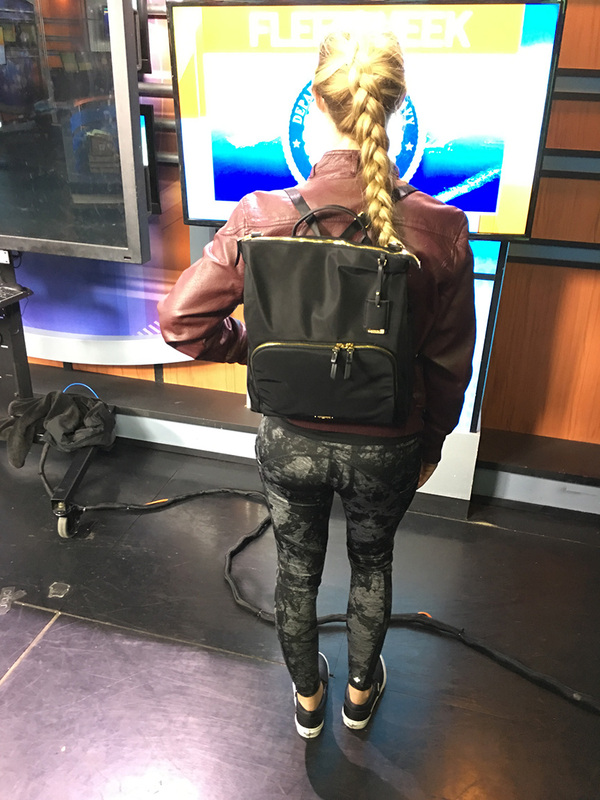 NUXactive, MICHI, NIKE, TUMI, and Cesar Jewelers THANK YOU!!! Lisa! Thank you so much for your kind words girl!